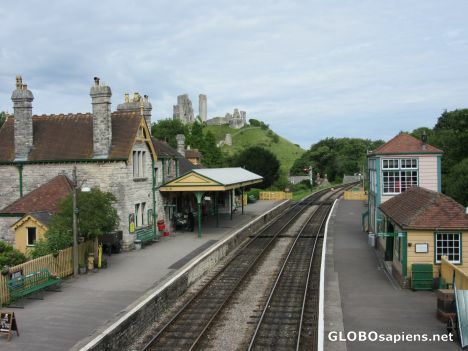 with Corfe castle on the hill. From the little bridge here. This really is lovely. I love these old stations. Amanda, Rudi I would say this is one of the best that I have seen so far. The atmosphere here was amazing.